Phytophthora arenaria A. Rea, M. Stukely & T. Jung, has been isolated in Western Australia from kwongan heathland stands since the early 1980s (Burgess et al. 2009, Rea et al. 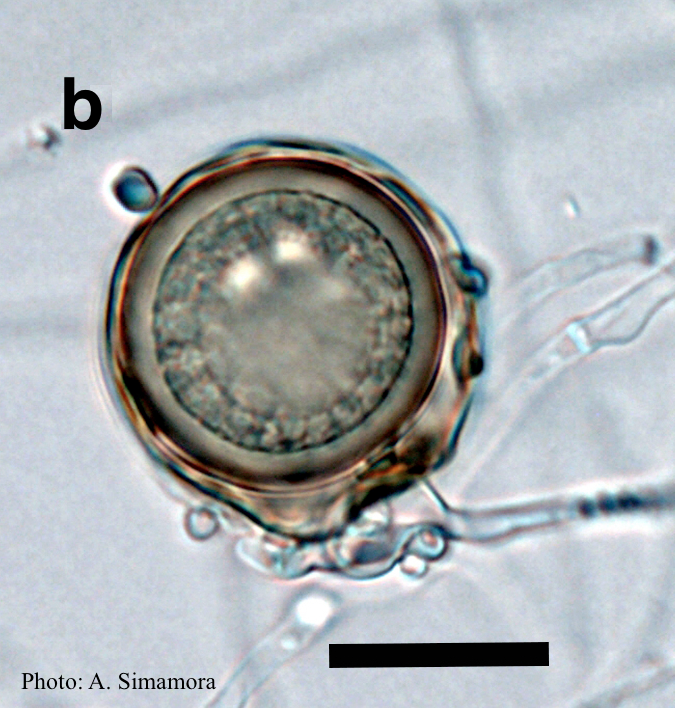 2011), but was misidentified as P. citricola. Phytophthora arenaria has been isolated exclusively from the northern sand plains and was named based on its association with sandy soils. 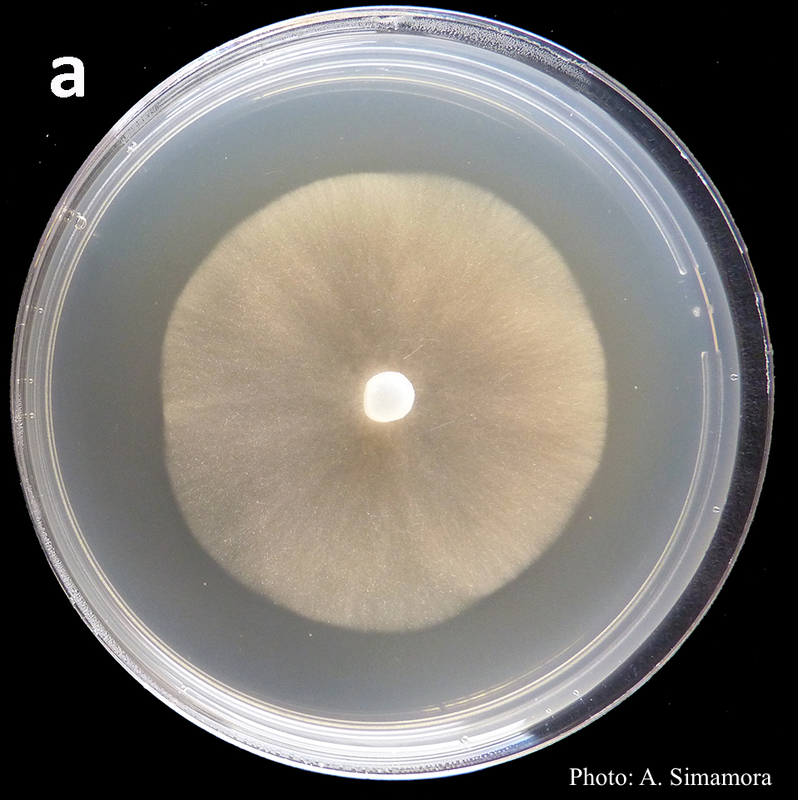 Most isolates were associated with dead or dying Banksia spp. (Proteaceae). When active, symptomatic plants are scattered in the landscape. However, the overall impact of this species within the natural environment is low due to the low rainfall in the region and the sporadic nature of the disease. Sporangia non-caducous, papillate, occasionally bipapillate, tripapillate and bilobed; ovoid, broadly ovoid, elongated ovoid, obpyriform or asymmetrically mouse-shaped; and showing conspicuous basal plugs (31.8 ± 4.6 mm x 23.7 ± 3.5 mm). Sporangiophores generally terminal, occasionally lateral. Proliferation absent. 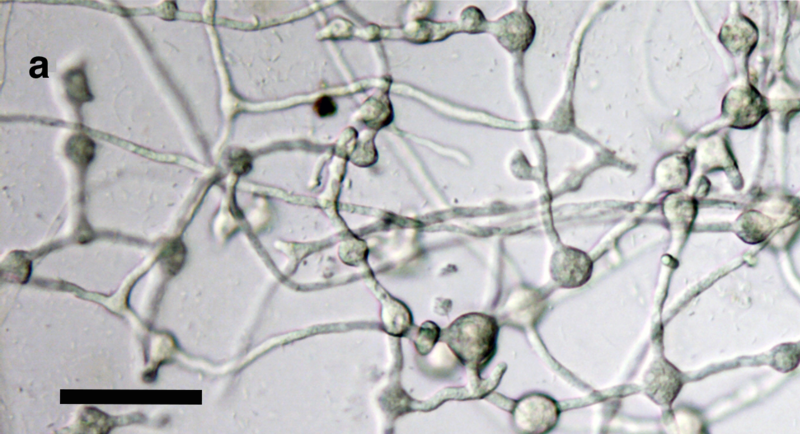 Hyphal swellings catenulate, globose to sub-globose, some with radiating hyphae. Chlamydospores absent. 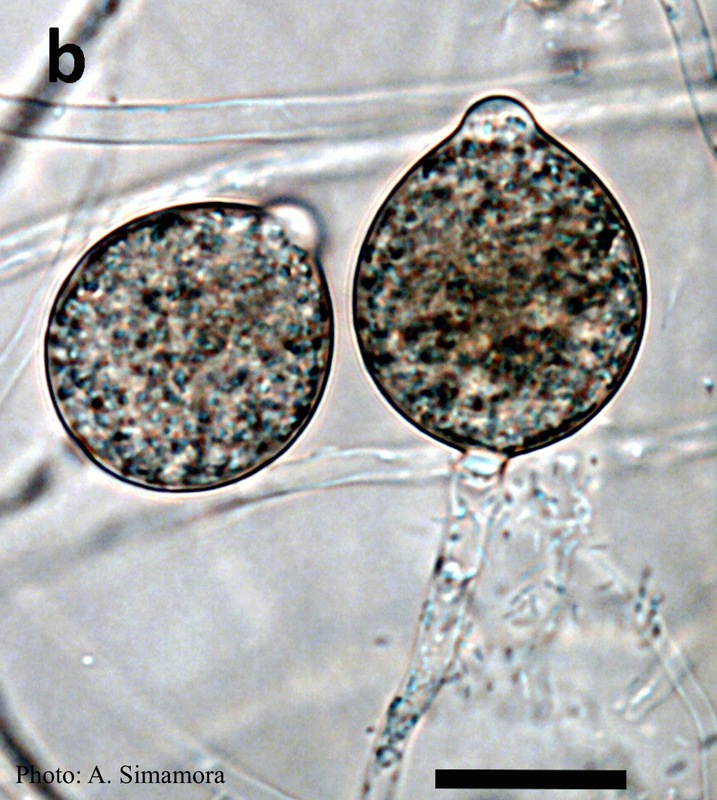 Homothallic having oogonia with slightly wavy walls turning dark-brown to bronze-brown with maturity, antheridia exclusively paragynous, oospores markedly aplerotic with thick walls [24.3 to 28.1 mm (av. 25.3)]. Oospore wall index 0.50 ± 0.05. 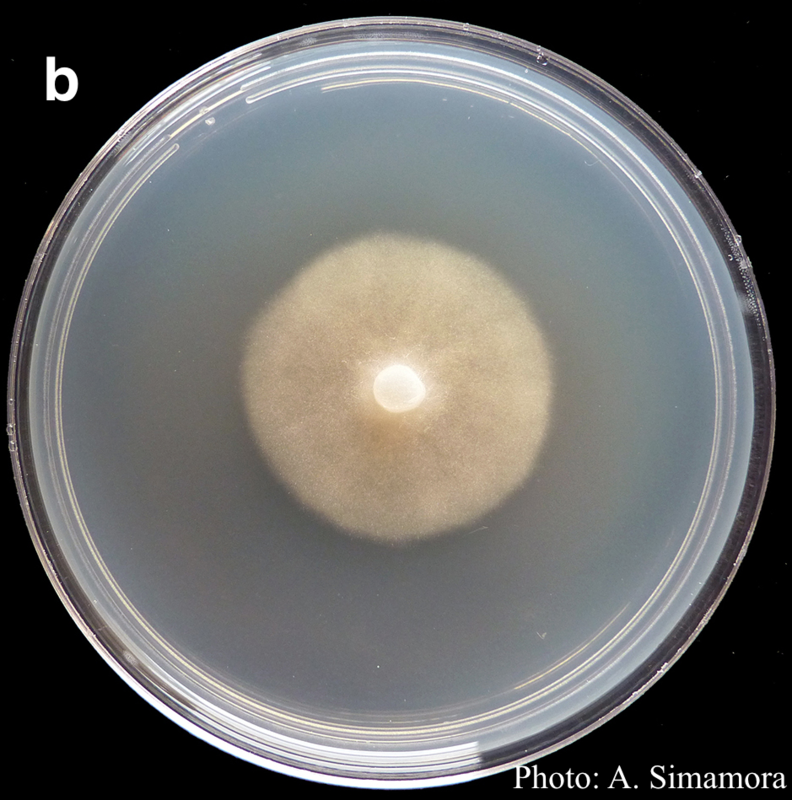 Phytophthora arenaria resides in ITS clade 4 with the most closely related species being P. alticola (Maseko et al. 2007). It differs from P. alticola by 3, 2, 6, 3 and 21 SNPs in ITS BT, HSP, enolase and cox I gene regions, respectively. 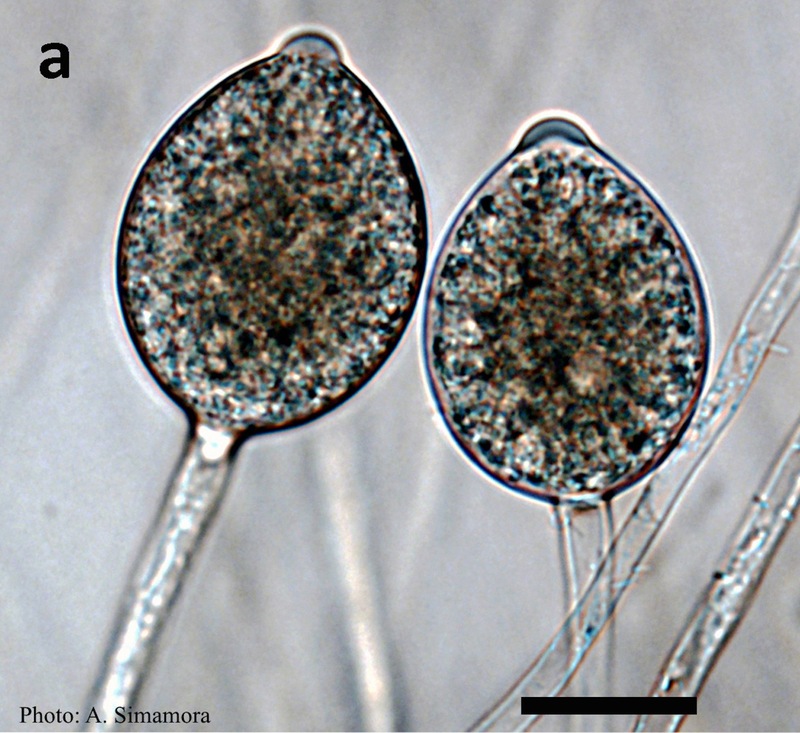 P. arenaria is distinguished from the most closely related species, P. alticola, by having exclusively paragynous antheridia and mature oogonia with wavy margins. For more information about Phytophthora arenaria, visit our Disease, Education and Management materials, and Reference sections.